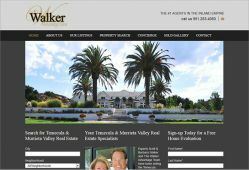 SM Sold developed a traditional and easy-to-use website for The Walker Advantage Team, Real Estate experts in Temecula / Murrieta Valley and greater Riverside County Area, known for their commitment to the highest level of customer service and satisfaction. 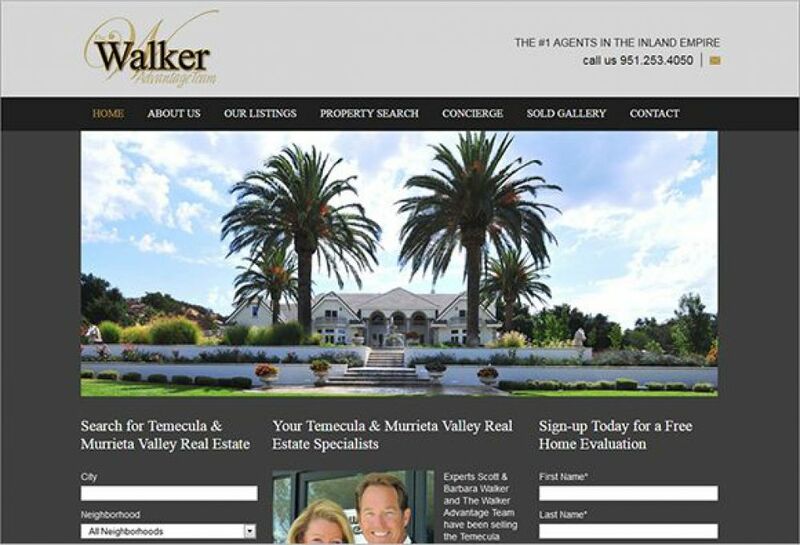 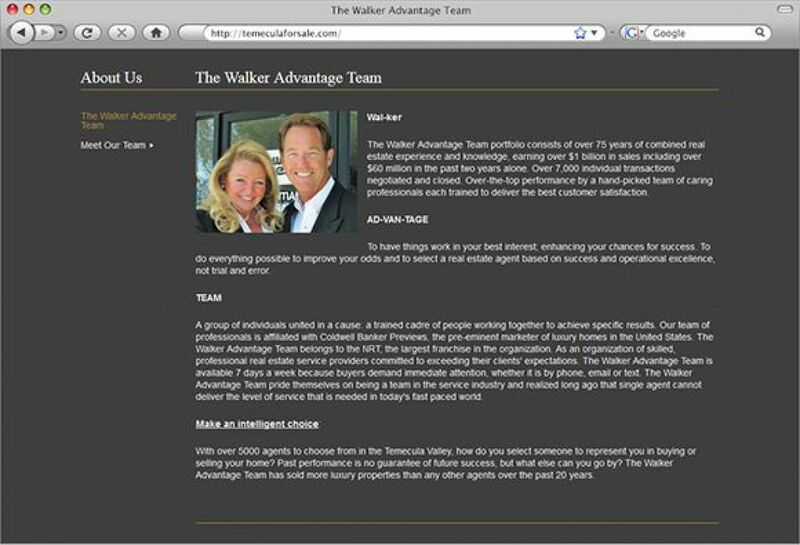 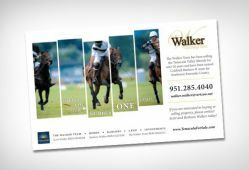 Scott and Barbara Walker and their team focus on homes, condos, leases and land properties in the Temecula area. 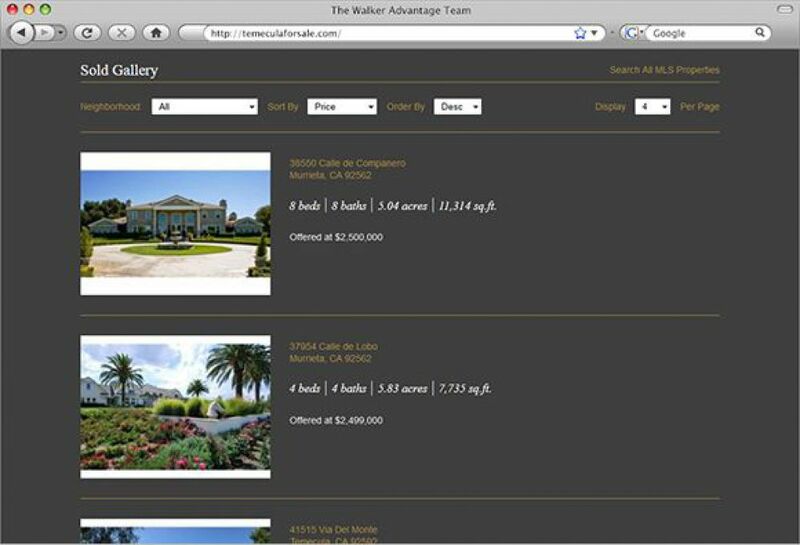 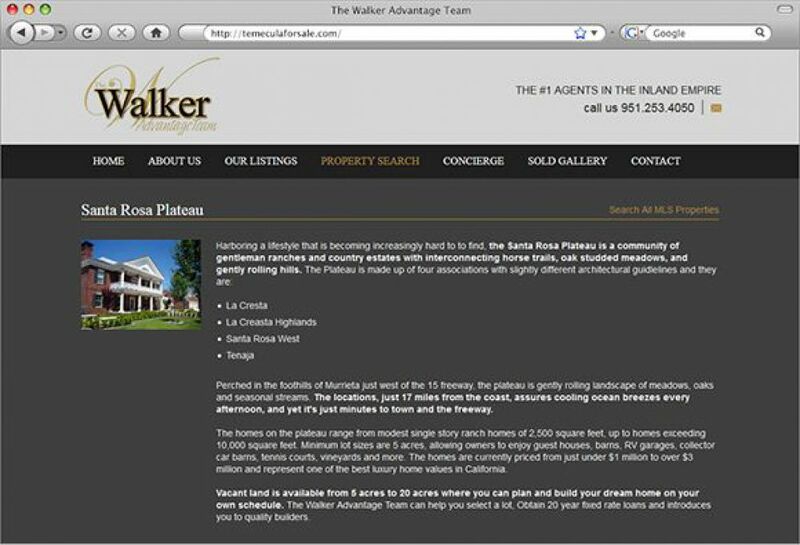 The new website features Walker Property listings as well as extended MLS property search. 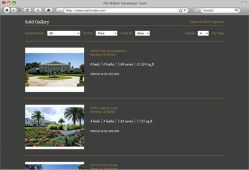 In addition, the website redesign include a concierge page, sold gallery and free home evaluation. 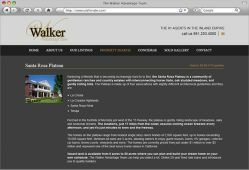 Agent Websites like this one are a great way to showcase your current listings, sold portfolio, services and let prospective buyers and sellers get to know who you are. 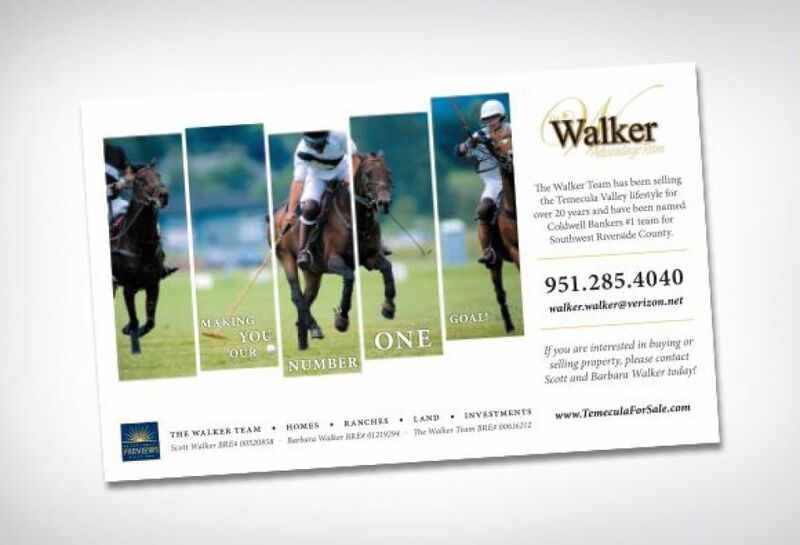 Ad creation by SM Sold design team for insertion into local publications.